The new XC60 is 44mm longer and 108mm wider but its height has been reduced by 55mm and its weight is roughly the same as the car it replaces. 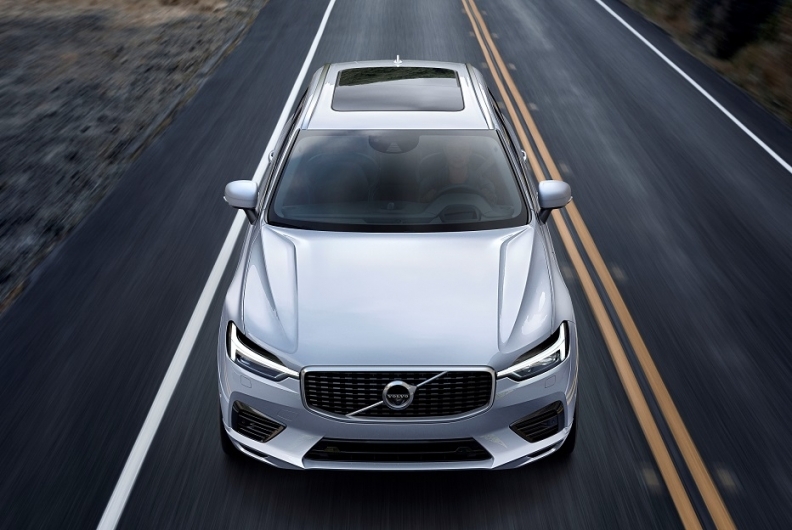 Volvo is counting on its bigger, safer, more technologically advanced XC60 to match or exceed the success of its predecessor, which is the brand's global best-seller. Volvo Canada will start taking pre-sale orders for the new XC60 in about mid-June. The vehicles will arrive in Canada in the fourth quarter of 2017, a spokesman said. The Swedish automaker aims to boost its worldwide volume to 800,000 vehicles by 2020 and increase its operating profit margin to eight per cent from 6.1 per cent last year. The XC60, Volvo's top-selling model in Europe and the U.S., accounted for 30 per cent of the automaker's 534,332 worldwide sales in 2016. There were 1,526 Volvo XC60 models sold in Canada in 2016, down 7.3 per cent from the 1,646 units sold in 2015. The first is an upgrade of the SUV's City Safety system to include steering help at speed of 50 to 100 km/h when automatic braking alone would not stop a collision with another vehicle, pedestrian or large animal. The second is a new system called Oncoming Lane Mitigation, which helps drivers avoid collisions with vehicles in the oncoming lane at speeds of 60 to 140 km/h. The system works by alerting a driver who has drifted out of the lane and by automatically steering the driver out of the path of any oncoming vehicle.